PlannerDan: Housing Affordability at the Breaking Point - Part 4: Do We Need Affordable Housing or Affordable Living? Unaffordable housing is a serious problem, but the combined cost of housing and transportation is what really matters. In regions with affordability problems, housing and transportation costs tend to be inversely related. As housing gets cheaper toward the metropolitan fringe, transportation costs increase, often erasing the benefit of the lower-cost housing. For example, someone living in New York's Greenwich Village will undoubtably pay exorbitant rent, but due to the neighborhood's high walkability, abundance of amenities, and excellent transit access, their transportation costs can be nearly zero. If the same person moves out to suburban New Jersey they can get a cheaper house, but their transportation costs will skyrocket. Car ownership in the New York region. 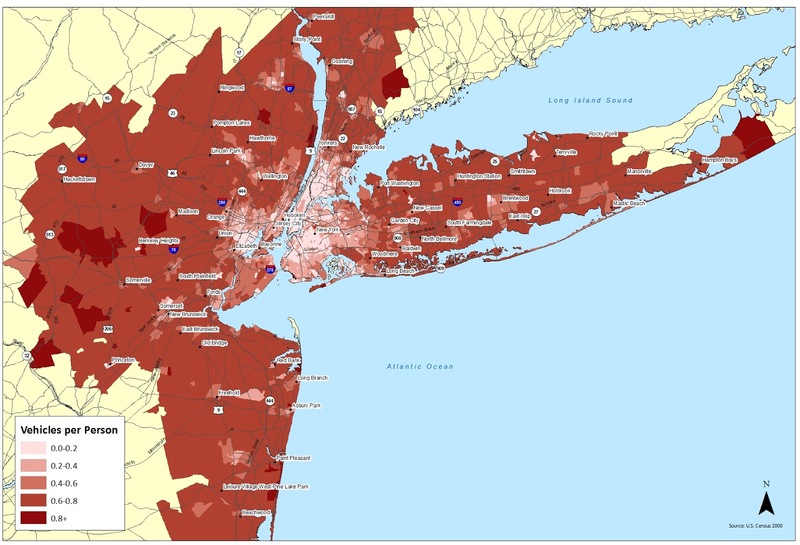 Due to years of federal and state transportation funding being biased toward highways, and the proliferation of zoning laws which discouraged the construction of walkable urban development, the New Jersey scenario is much more common today than the Greenwich Village scenario. That's why 50% of US household income goes to housing and transportation. It doesn't have to be that way, though. A recent study of 11 Asian nations found that housing and transportation combined consumed just 16% of household budgets in those countries. Even in the US, just 100 years ago transportation accounted for nearly nearly 0% of household budgets. Today, the average American household drives about 20,000 miles per year, and spends over $10,000 annually on driving costs. Through years of public policy, we have basically forced Americans to take on such financial burdens if they wish to participate in the economy. It is really difficult, if not impossible, to opt out. 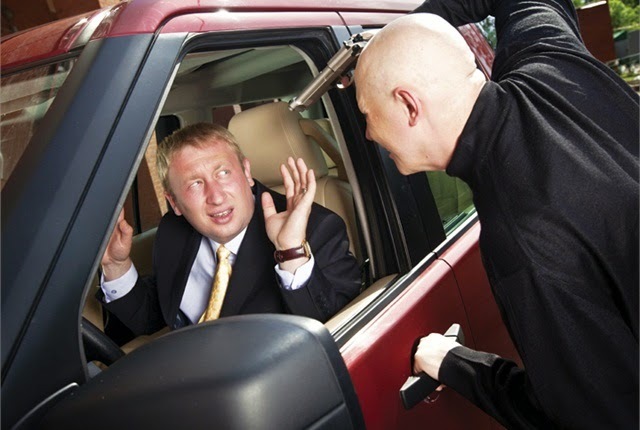 "Get in that car and drive everywhere for everything, buddy!" The Center for Neighborhood Technology has developed a calculator to help people who are searching for a home understand this phenomenon. It is revealing. Below are screen grabs from three very different cities, which yield very different results. The scenarios on the left consider only housing costs, and the scenarios on the right consider housing and transportation cost together. As is common, CNT considers housing costs in excess of 30% of income to be unaffordable; for housing and transportation together, they consider costs exceeding 45% of income to be unaffordable. On the maps, yellow represents affordable areas, and blue areas are unaffordable. Expand Transit. Driving is fun, but we have practically mandated it for people in a lot of areas. If you like driving then you should be able to do it, but people with other needs and desires should have convenient options available to them, too. Smart investments in transit are critical to expanding options and allowing some people to choose not to drive without sacrificing access to jobs, services, and amenities. This doesn't necessarily mean that we need to break the bank; transit can be made to be improved and made to be more cost-effective, as system improvements in Auckland and other cities have shown. If you're really shrewd, transit can be a money-maker, as can transit-oriented development. Build Walkability into Everything. Every transit trip begins and ends on foot. Walking is also an excellent mode of transportation in its own right, and it is completely free. It also causes no pollution, discourages crime, and is really easy on the municipal budget (since sneakers don't put much wear and tear on the sidewalks). The more walking, the better. To facilitate this, streets must have sufficiently wide sidewalks, and they must be well lit, shaded, protected, lined with useful and interesting buildings, and must form an interconnected network. Facilitate Shorter Driving Trips. We must adjust our land use plans so that eventually, so many people don't have to drive so far so often if they don't want to. Focusing new high density residential development on transportation corridors, near transit, and near office and retail clusters is a key part of this. We should also promote the growth of a series of smaller mixed-use centers disbursed throughout the community (rather than just a few mega-centers) so that single-family home residents who prefer driving can get there with shorter car trips. 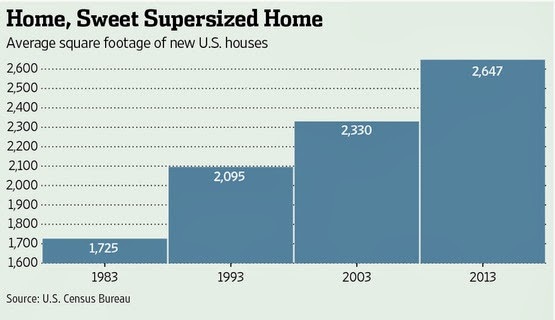 The average American home has been getting bigger (and bigger, and bigger) for a long time. In the 1950s the average home was only 980 square feet, but by the 2000s it was 2,300 square feet, despite the fact that the average household has fewer people now. There are a lot of perks to living in a large house, but there are also some downsides. Big homes take up more space, cost more to build, cost more to heat and cool, and cost more to furnish and equip. 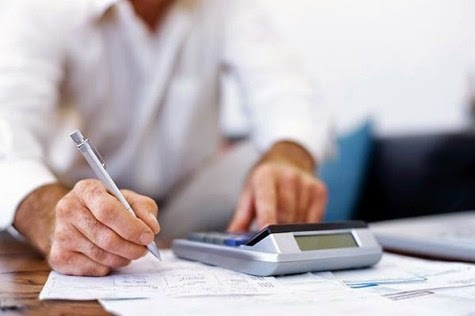 Inordinately large home can create serious financial strain for some households, especially in areas where rent and mortgage costs are exceptionally high. Some of this growth in home size is due to prosperity, and there is no harm in that. Prosperity and rising standards of living are good! But some of it is due to necessity. As homes became detached from full-service neighborhoods, people needed to privatize open space, fitness, leisure, socializing, and transportation. As the public realm was damaged by a lack of investment and mass motoring, it was a rational response to retreat into the private realm. This compelled many people to seek bigger and bigger homes. Regulations play a role, too. In many localities, local laws ban or discourage boarding houses, micro apartments, and other lean living arrangements. To be fair, these types of housing have been done badly in the past. The horrors of 19th Century tenements in New York were famously exposed by Jacob Riis, which led to a series of major housing reforms. There were real problems with terrible design (some units didn't have a single window or adequate emergency exiting), grossly inadequate facilities (one outdoor toilet serving an entire building, for example), and horrendous maintenance. Also, some folks that live in these types of buildings today have problems with mental illness, substance abuse, and crime. However, the correct response to these problems is to actually deal with these problems (with better building design, social services, and law enforcement), rather than banning legitimate housing types that some people really need access to. The crowded tenements of the 19th Century were pretty rotten, but we overreacted a bit. Allow Micro Apartments. If you can't get the cost per square foot down, then get the square footage down. Many cities have minimum unit sizes, but cities like New York and San Francisco are easing these regulations to allow developers to experiment with smaller apartment types, often called micro apartments. One enterprising person even made a 90 square foot apartment work, and that allowed her to live in the Upper West Side of Manhattan for $700 per month. If someone wants to do that, and it helps them meet their needs, why not let them? Remove Obstacles to Group Living. In his excellent book Unlocking Home, Allan Durning makes a convincing case that housing arrangements such as rooming houses should be allowed to return to our cities. These structures allow folks of limited means to rent small rooms with common bathroom and kitchen facilities. It is not exactly the American Dream, but some people need options like this at some times in their lives in order to makes ends meet, and cities should consider lifting restrictions on such facilities. Some cities even have strict regulations on roommates, prohibiting large homes from being occupied by more than a few unrelated people. This rules out affordable and viable options for many people, and Mr. Durning also strongly recommends lifting these rules. Empty bedrooms all across America could make a helpful contribution toward combating the housing crisis. Create Walkable, Mixed-Use Downtowns and Neighborhood Centers. Sticking micro apartments and rooming houses in the middle of auto-oriented single-family neighborhoods doesn't make a lot of sense. Not only will it upset the neighbors, but the tenants of these buildings will be isolated from transit, jobs, and services. To ensure that rent savings aren't eaten up by gasoline costs, and to make the shedding of in-home amenities practical for people, these housing types must be located in dense, walkable areas with a wide variety of goods and services available. The detached single-family home and the conventional apartment are both really nice ways to live, but we need to broaden our thinking in order allow a wide range of Americans with diverse needs which vary throughout their lives to have a big menu of housing options to choose from so that they can live enjoy the benefits of affordable living. This is Part 4 in a 6 part series. Part 3: Housing Shortage or Urbanism Shortage? Part 4: Do We Need Affordable Housing or Affordable Living? Getting an affordable housing is one of the biggest problems in America. If we will get a house at an cheaper price then the location must be far from the city and we need to spend much in transportation price. If we thought about the transportation then we need to spend little more for transportation price. Thanks for sharing such an informative info. Keep posting. Property Management High Point, NC.